Producer Robert Molloy chats with us about Tampa and his upcoming feature film, "The Little Mermaid"
Robert Molloy, grandson of New York Yankees' George Steinbrenner, is hitting the ground running as a Producer. His second project, feature film "The Little Mermaid" is a live-action remake (not the Disney version) of the classic fairy tale novel. For more information about the film, visit thelittlemermaid.tv. In AMC theaters August 17. 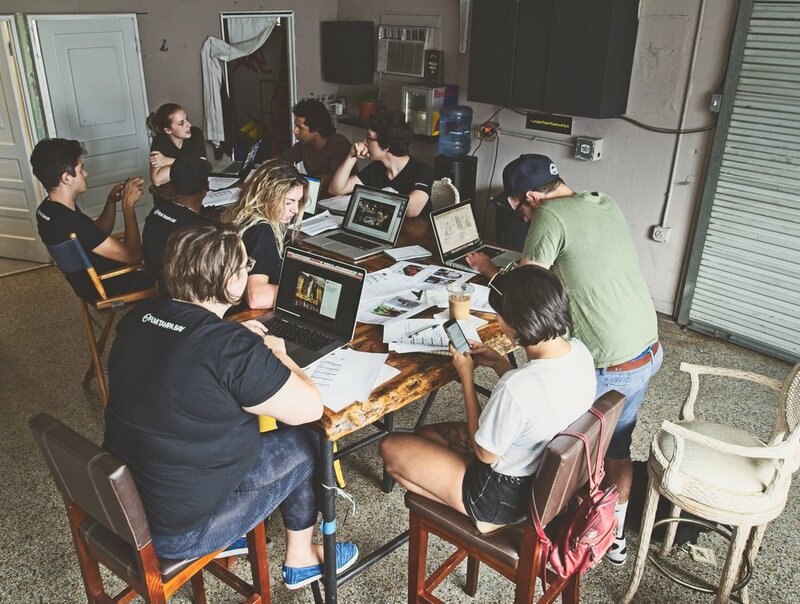 Production Spotlight, Three Chairs Productions "For us, everything doesn't stop when we say cut"
Three Chairs Productions is headquartered at creative space Lot 1901 in the heart of Tampa's historic Ybor City. They have accomplished an array of projects and work with a diverse client list. Their work includes case studies, commercials, features and PSAs for DEX Imaging, Tampa Tank, Tabletop gear, A Kid's Place, Tampa's Margarita Festival, Hillsborough Education Foundation, USAmeriBank and more. Elections matter. This is an inescapable fact, but if you are like me, you may sometimes feel powerless beyond casting a ballot. While it's important to vote, it's equally important to make yourself heard throughout the year, now more than ever as we head into election season. There are several ways to contact your representatives to communicate your values and priorities. Whether by phone, email, handwritten letters or through social media, they do listen. Be respectful, and arm yourself with facts. If the continued growth of film and digital media within the state is important to you, I would encourage you to speak up. Statistics are great (Film Florida can help!http://filmflorida.org/legislative-issues/) but speaking directly to how you and your community is impacted goes further. Film production has helped define our state, it's up to us to remind our representatives. New and existing Film Florida members gathered at Brew Bus Brewery for a chance to meet and network with fellow creatives and Film Florida representatives. JOLT Production School kicked off this past weekend as young filmmakers wrote and scouted several of Tampa Bay's most sought-after locations. The diverse group of creatives are working on a short for real client Visit Tampa Bay. The project features a staycation from a millennial's perspective. Stay tuned as we publish the finished video next month. We live so much of our lives in fast forward. We rush from home to work and back again, with meeting notices and calendar reminders and text alerts constantly prompting us to move along to the next to-do. Wouldn’t it be nice to hit PAUSE? Tampa Theatre is inviting you to do just that: to take a moment out of your day, experience the grandeur of this 1926 movie palace and be reminded of a time before cell phones tethered us to our responsibilities in real time, when it was okay to gather with friends, share a drink, and engage in conversation… when it was okay to PAUSE. ON SELECT WEEKDAYS, the Theatre will open its lobby from 4:30-6:30pm. No ticket is required – just check the dates to make sure we're open and join us under that iconic TAMPA marquee in the heart of downtown for drink specials at the bar and $2 off our famous popcorn. And if you’re not familiar with the place, we’ll be happy to show you around!